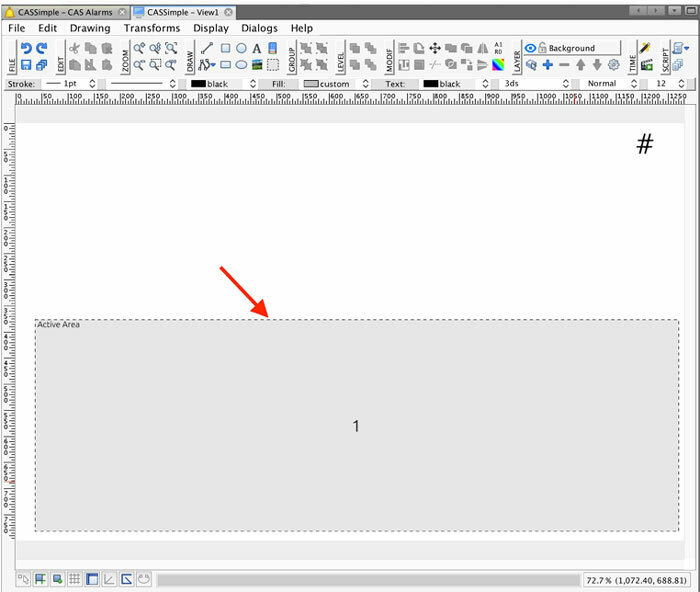 The following example will show you how to embed the CAS Alarms window in the view. 4. 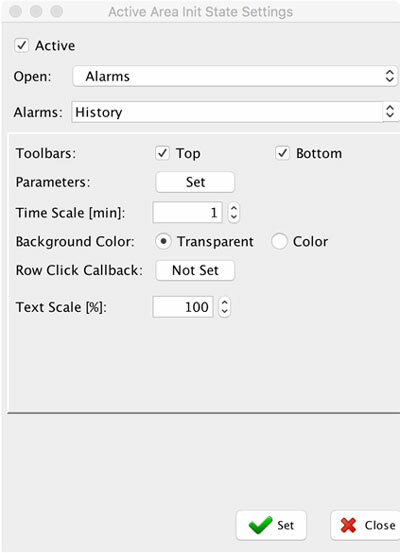 Specify which columns should be visible in the CAS Alarms table by clicking on the Parameters button. 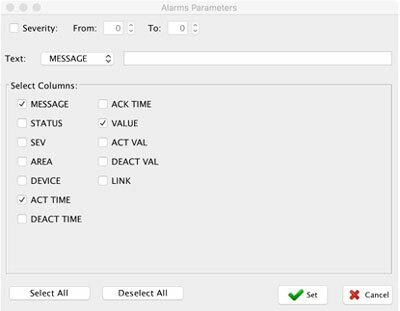 We only want to show the alarm message, activation time, and activation value. 5. Save your project and test.